As Lead Crew Pilot or CoPilot (17 credited missions - 138, 139(CP), 140, 146, 151, 153,163, 165, 171(CP), 175, 181, 190(CP), 192(A), 199, 202, 207(CP), 210, 214). As Crew Pilot or CoPilot (12 credited missions - 121(CP), 122(CP), 127(CP), 129, 130, 133(CP), 134, 135, 136, 139(CP), 148, 150). First mission 16 March 1944 (Mission 121). Last Mission 29 July 1944 (Mission 214). (CP) Eight Missions flown as CoPilot -- For Mission dates, targets and Mission Reports, see Combat Missions. Capt Joseph A. Moreau (P) - 29 credited mission flown as indicated above. 1Lt Hendric S. Hudson (CP) - 32 credited missions flown: As Capt Moreau Crew CoPilot (12 missions - 129, 130, 132, 134, 135, 136, 138, 140, 146, 148, 150, 151); As Copilot for 2Lt John H. Baker (8 missions - 161, 170, 171, 172, 176, 177, 178, 184); As CoPilot for 2Lt Bernard E. Vermeer (3 missions - 185, 186, 187); As Co Pilot for 5 other Pilots (6 missions - 120, 121, 122, 124, 164, 193); Upgraded from CoPilot to Pilot (3 missions as First Pilot - 201, 202, 205. Combat tour completed on 17 July 1944 (Mission 205). 2Lt William T. Kelly (N)(KIA) - 11 credited missions flown: - With the Moreau Crew (10 credited missions - 121, 122, 127, 129, 130, 132, 134, 135, 136, 140); With 2Lt Roy A. Larson (P) (1 mission - 133). Was Killed in Action on mission #140, 24 April 1944 to Munich, Germany in B-17G #42-31574 Clover Leaf aka Little Princess (358BS) VK-C, in which his body was returned to Molesworth. He is buried in the Cambridge, England American Cemetery - plot F-1-26. 1Lt Albert W. Larson (B) - 27 credited missions flown: With the Moreau crew (15 credited missions - 121, 122, 127, 129, 130, 132, 135, 136, 139, 140, 146, 148, 150, 151, 153); with other Pilots (12 missions - 133, 170, 179, 180, 183, 184, 186, 187, 200, 201, 205, 206). Last mission flown on 18 July 1944 (Mission 206). Sgt Michael Tomasini (LWG) - 22 credited missions flown - All with the Moreau crew (121, 122, 127, 129, 130, 132, 133, 134, 135, 136, 138, 140, 146, 148, 150, 151, 153, 163, 165, 171, 175, 181). Only one waist gunner used on other Moreau crew missions. Last mission flown on 15 June 1944 (Mission 181). T/Sgt Carl H. Rossman (E) - Stood down (139). With another Pilot (223) Flew on 29th mission on 08 Aug 1944 (Mission 223). T/Sgt Gareth W. Lowe (R) - Stood down (139), With another Pilot (223) Flew on 29th mission on 08 Aug 1944 (Mission 223). S/Sgt Ben A. Ross (BTG) - Stood down (139). 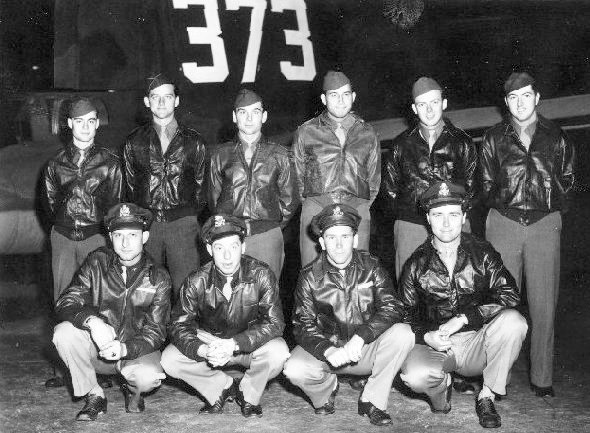 With other Pilots (223, 224) Flew on 29th mission on 09 Aug 1944 (Mission 224). S/Sgt Royce C. Tate (RWG) - Stood down (139). With another Pilot (223) Flew on 29th mission on 08 Aug 1944 (Mission 223). Sgt Howard E. Fox (TG) - Stood down (139, 163, 165). With Other Pilots (208, 211, 216, 237). Flew on 30th mission on 08 Sept 1944 (Mission 237). Mission #150, 4 May 1944 to Berlin, Germany (Mission recalled) in B-17G 42-31583 Clover Leaf (358BS) VK-C. 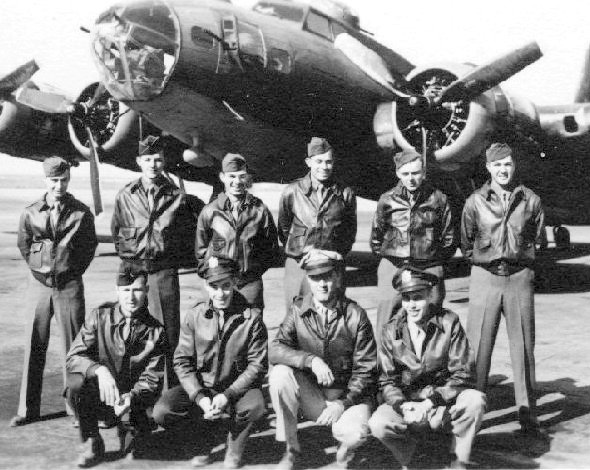 Crew received a commendation for their report of a B-17 that had ditched in the middle of the North Sea. Using proper distress procedures, they established the position of the ditched crew. The crew was later rescued. Other crews were urged to be watchful for crews in distress and to render all aid possible toward their rescue.